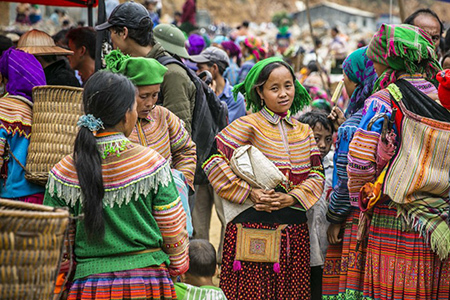 This 5-day itinerary in Sapa will give you several chances to visit different minority ethnic groups who live in remote area and spend a night in a home-stay of a Red Dzao family; enjoy beautiful scenery along the trip. 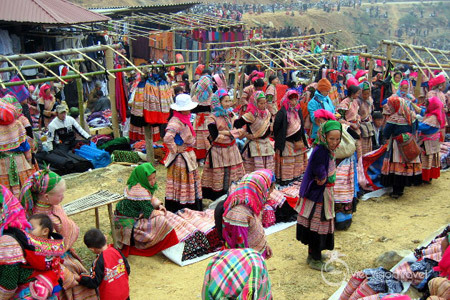 If date permits, you will also visit Can Cau Ethnic market, one of the most interesting and colorful ethnic markets in Sapa. 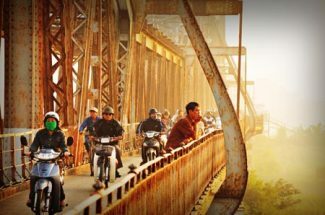 In the evening, our car will arrive at the hotel in good time to take you to Hanoi Railway Station to board the overnight sleeper train ride to Lao Cai. Arrival in Lao Cai Station in the early morning, we will be met and driven to Sapa. After breakfast in a good restaurant, we will visit different ethnic groups such as the Tay, the Xa Pho who which cannot be found in other areas of Sapa. Even though they live close to each other, their living standard, their customs and traditions are not the same. Also, enjoy beautiful landscape in Ban Ho valley. 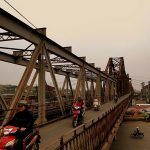 We will first transfer to Thanh Phu Bridge where we will start our trekking along the Ngoi Bo River for 1 hour, then uphill to Muong Bo Village at the center of Thanh Phu Commune where our lunch will be provided in a local house. After lunchtime, we head to Sin Chai B village. 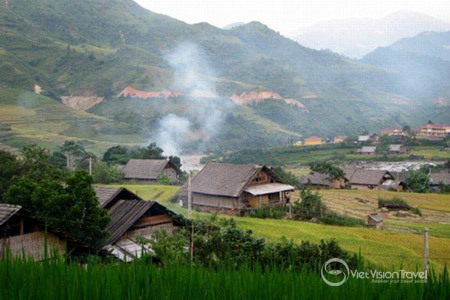 This is a village of of Red Dao people. We will have dinner and spend the night in a local house in the village. 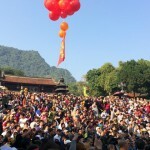 Sin Chai Village in Sapa. 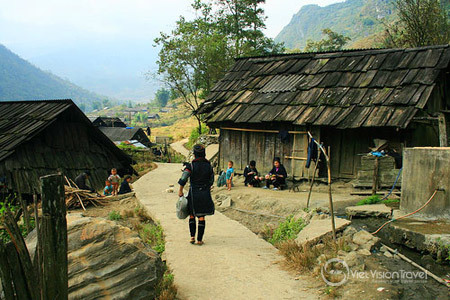 After breakfast, we start our day by walking downhill toward the My Son village, which is inhabited by the Xafo ethnic minority, one of the smallest group’s ethnic in Northern Vietnam. After one and a half hours walk to the Red Dao village of Nam Toong, we bill stop for lunch. In the afternoon, we continue our trip towards Ban Ho village where it will be possible to take a swim. Please check your guide’s advice before jumping on the water. 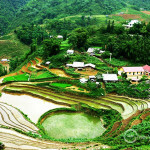 Then our vehicle will transfer you back to Sapa from ban Ho. We will spend the second night in Sapa in a hotel. Ban Ho Village in the thin smoke of peaceful afternoon. After an early breakfast at hotel, we will be driven to visit Can Cau market passing through beautiful views over the valleys. 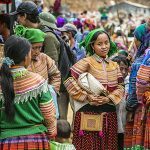 Situated 20 km from Bac Ha, Can Cau is a small, but very colourful market. Opening only on Saturdays, it always delivers a very photogenic display of Flower Hmong, Black Zao, Phu La ethnic costumes. After spending the whole morning exploring the market, you will leave the market for Bac Ha town for lunch. 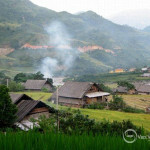 In the afternoon, we will take a walk to Ban Pho, a small village of Nung and Flower Hmong. 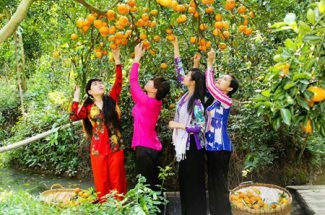 The villagers grow vegetables and fruit trees. One of the most famous fruit of the area is plum. Visit a local house and taste a cup of corn wine, another famous product of the village. 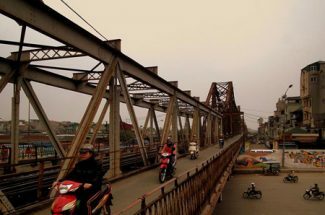 In the late afternoon, we will drive to Lao Cai in good time to connect the overnight train back to Hanoi. 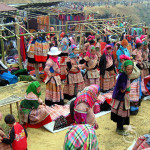 Can Cau Market in Bac Ha, Sapa. Arrival at Hanoi Railway Station in the early morning, we will be met and transfer to the hotel. The rest of the day will be free on your own. Tour ends. Lunch and Dinner as indicated in the itinerary. 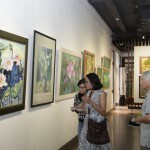 We had the great time in Hanoi. I have met such fairly friendly hosts. The rooms were good and clean. We feast on delicious Vietnamese foods in cozy Hanoi–style family dinner. 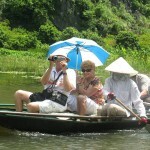 The hosts are all kind, generous and helpful when give us many useful tips for our excursion. 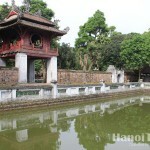 Hanoi was our first destination when we set the foot on Vietnam and we had a great homestay in an old village in Hanoi. We were guided to make some traditional Vietnamese foods with the host. 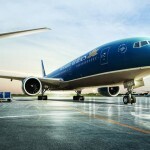 An extraordinary experience, highly recommend it! 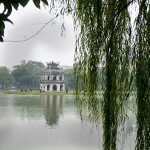 Hotel to stay in Hanoi? 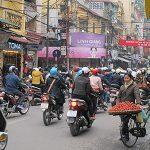 There are hundreds hotels in Hanoi but you should chose a hotel in Old Quarter, close to many famous sites and also jammed with traffic, people and street food. 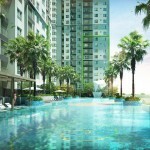 Choosing upper range hotels or lower range depends on your budget. 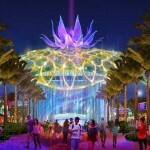 You can find the detailed quote on internet. 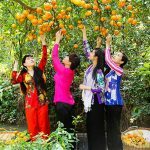 I see in the itinerary that we will be offered a homestay in Dong Trieu Village. Should we buy some gifts for the host when we get there? 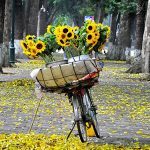 Not necessary but giving gifts when you visit a Vietnamese home is appreciated. A small gift for children or flowers is recommended.